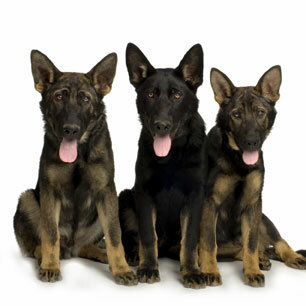 Dear Total German Shepherd, We would love to get in on your GSD of the Month contest! Attached is a picture of our beautiful little Sable girl, Kimber; our first-ever GSD. She is 3 months old, and weighs about 25 pounds (80% of that from paws, I'm sure!). We are so proud of her training progress and her overall demeanor, and when I learned of your monthly contest, I just had to submit this picture. Here, we are on our way to a nearby off-leash park to play with friends, and you can tell that she is ready to have some fun! She is such a sweet, intelligent girl, and this picture really sums up her enormous personality. She is a brilliant girl, and we are so fortunate to have her as an addition to our family. We love her dearly. By now, her ears are almost completely erect, although the right one is winning the race at this point :). We are so excited to see what everyone thinks of her over at Total GSD. Thank you for checking us out! My GSD pup is a sable female named kimber too!